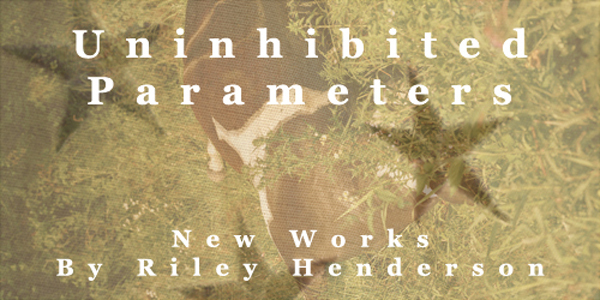 Uninhibited Parameters is a body of new, largely unseen, installation, textile and photographic works by artist, Riley Henderson. This show stems from ideas and observations on race, class, and cultural difference. The artist’s aim is to relate shortcomings of the current immigration debate to a legacy of dehumanization and marginalization in this country. “Focusing on the way in which the current immigration debate is framed, my goal is to re-inject that conversation with ideas of humanity. Far too often, people are left out of this debate about people, which has become a very traditional way of marginalizing different ethnic groups and minorities in America. By telling a story through the works in this show I hope to infer a broader and necessary shift in the thoughts and treatment of people in this country. In conjunction with ACRE artist residency and the Chicago Art Department, the opening reception will be held on September 23rd with gallery hours on the 24th. The show will be held at the Chicago Art Department’s new 3,200 sq ft space and co-curated by Jason Frohlichstein.